Summer is in full swing and Coloradoans are flocking to lakes, streams and rivers. If you are one of these people, chances are you have sent leaves, sticks or bark floating downstream. Next time, put your fascination for floating to good use and build boats out of your favorite natural materials! Grab the kids and head to your favorite body of water to experiment with nature boats. It may not be as easy as it seems – some things may float better than others, your boat may take on water or your ship may straight up sink! Encourage your young nature sailors to learn from their mistakes and build better boats. End your day with a regatta of floating sticks and leaves or just spend your afternoon splashing around. Either way, get out, get wet and have fun enjoying the natural splendor we are so lucky to have right out of our back door. 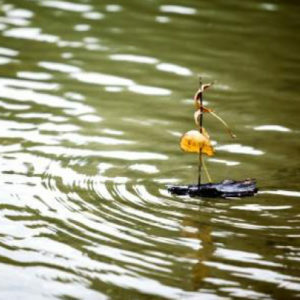 For more inspiration on natural boat building go to https://mothernatured.com/nature-play/nature-boats-for-kids/ or https://makezine.com/2010/08/16/little-drifters-art-boats-made-from/ and get floating!